Gifford’s invigorating work of metacriticism and literary history recovers the significance of the "lost generation" of writers of the 1930s and 1940s. He examines how the Personalism of anarcho-anti-authoritarian contemporaries such as Alex Comfort, Robert Duncan, Lawrence Durrell, J.F. Hendry, Henry Miller, Elizabeth Smart, Dylan Thomas, and Henry Treece forges a missing link between Late Modernist and postmodernist literature. He concludes by applying his recontextualization to four familiar texts by Miller, Durrell, Smart, and Duncan, and encourages readers to re-engage the lost generation using this new critical lens. 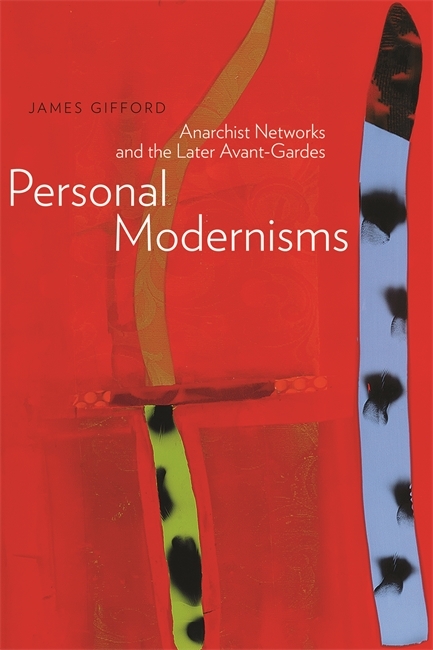 Scholars and students of literary modernism, 20th century Canadian literature, and anarchism will find a productive vision of this neglected period within Personal Modernisms. James Gifford is assistant professor of English and the director of the university core at Fairleigh Dickinson University in Vancouver. He argues with reason that these writers, as well as their ideas, for various causes have been undersold, and the extent and influence of their networks repeatedly underestimated, and Gifford successfully puts a great deal of pressure on received notions that they were either apolitical or largely on the wrong side. Gifford’s model of the personalist network...helps tease out the discrete connections among writers and artists exploring surrealist and postsurrealist aesthetics....establishing concrete and original links and networks among writers across nationalities, geographies, genders, and genres. Personal Modernisms is intended as a starting point for reassessing and repositioning an often-overlooked group of artists who produced a meaningful body of work during the inter-war and WWII period… [B]y altering the perspective through which these personalist writers have been compartmentalized and sidelined, in many cases, he has generated a reformed platform for exploring these anarchist networks.